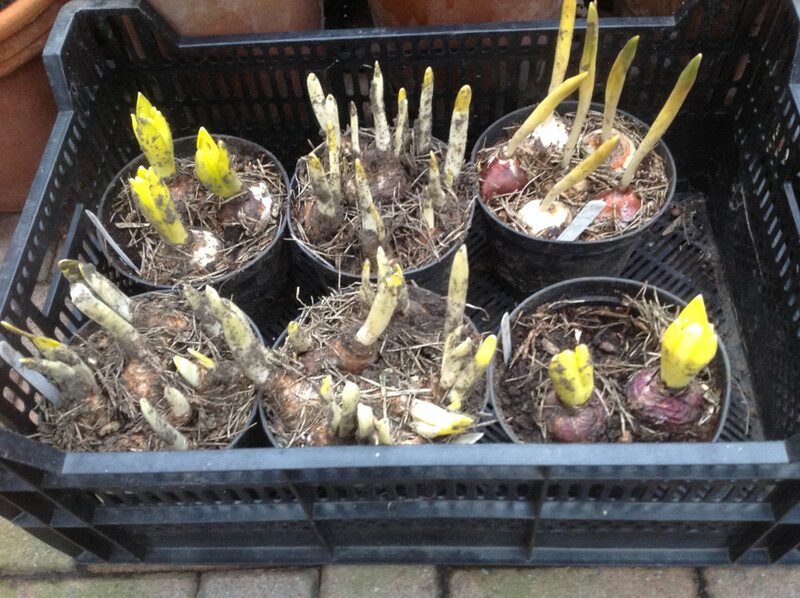 George has not touched the pots of Caley workshop bulbs since he helped lift them from the plunge on Saturday. 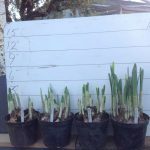 The idea is to let them dry off so that he can exercise some control over their growth later. 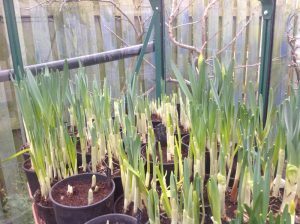 The pots are sitting in a shaded area and will remain there for the next week. 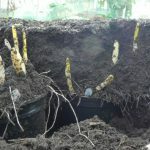 The excess compost will be removed from the top of the pots to allow space for watering. 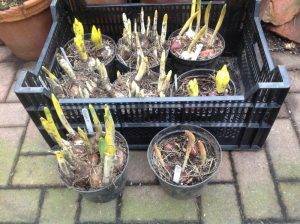 The single pot of daffs in front of the crate of pots is the cultivar Euryalas. Euryalas is an early variety and a pot in George’s cold glasshouse which was removed from the plunge three weeks ago is already showing flower spikes. 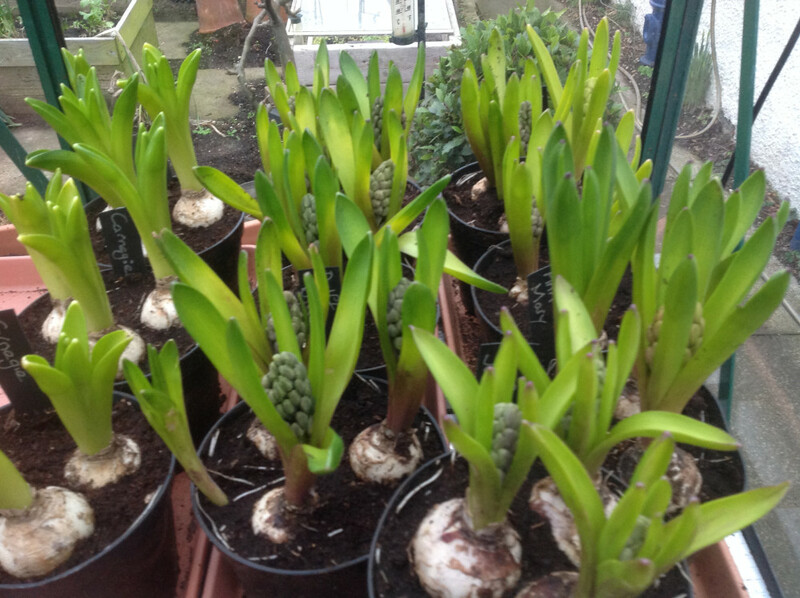 George’s Hyacinths have greened up well and the flower spikes are starting to show some colour.